OSD ensures that BSD is in full compliance with 49 CFR Part 26 as it relates to maximizing inclusion on its construction projects, goods and services. OSD sets the agency overall three year goal; reviews projects to determine if a project specific goal will be set; attends pre-bid & pre-construction meetings; performs Good Faith Effort (GFE) Reviews which includes review of DBE participation; monitors and enforces 49 CFR Part 26 on DOT-assisted contracts; verifies payments to DBEs; conducts site visits throughout project duration and conducts Commercial Useful Function (CUF) reviews. A bidder/offeror cannot terminate, release, or substitute a listed or approved DBE subcontractor without prior written consent. This includes, but is not limited to, instances in which a contractor/proposer seeks to perform work originally designated for a DBE subcontractor with its own forces or those of an affiliate, a non-DBE firm, or with another DBE firm. OSD will provide written consent only if the prime contractor has “good cause” to terminate the DBE firm, as established by Section 26.53(f)(3) of the DBE regulation. Prior to requesting to terminate and/or substitute a DBE subcontractor, the contractor/contractor must give notice in writing to the DBE subcontractor, with a copy to OSD, of its intent to request to terminate and/or substitute, and the reason for the request. The contractor/proposer must give the DBE five days to respond to the notice and advise OSD and the contractor of the reasons, if any, why it objects to the proposed termination of its subcontract and why OSD should not approve the prime contractor’s action. In addition to post-award terminations, the provisions of this section apply to pre-award deletions of and/or substitutions for DBE firms put forward by bidders/proposers in negotiated procurements. When a DBE subcontractor is terminated, or fails to complete its work on the contract for any reason, the contractor/proposer is required to make good faith efforts to find another DBE subcontractor to substitute for the original DBE. The contractor’s/proposer’s good faith efforts shall be directed at finding another DBE to perform at least the same amount of work under the contract as the DBE that was terminated, to the extent needed to meet the contract goal established for the procurement. OSD utilizes a web-based software system for DBE reporting that is designed to streamline and automate reporting DBE participation. The system is accessible to all firms doing business with BSD and includes automated communication with contractors via email regarding compliance issues and concerns; submission of DBE utilization reports; tracking of contract goals and verification of subcontractor payments.  Bi‐State Development’s Small Business Enterprise (SBE) component of the Disadvantaged Business Enterprise Program is designed to encourage contracting opportunities and facilitate competition of small businesses on DOT‐assisted contracts. This race‐neutral element of the program will use the Small Business Administration’s (SBA) definition and size standards to define a small business.